Today’s industrial mobile computers take the network and data connectivity of a desktop computer, add the portability of notebook computers, the voice connectivity of mobile phones, a digital camera, a barcode scanner and true GPS functionality, and then reduce its form to fit comfortably in the palm of your hand. Today’s mobile computers allow you to capture business-critical information—in the office or in the field—and exchange it with those who need it, immediately at the point of contact. 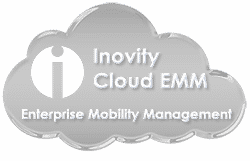 Regardless of your business requirements, applications or environment, Inovity can provide you with the right mobile computer for your specific enterprise demands. Featuring advanced devices from industry-leading manufacturers Zebra Technologies and Honeywell, Inovity can provide a mobile computing solution—along with enterprise printing solutions and mobile device management—designed to meet your needs, and your budget. As varied as your application may be, Inovity has extensive development experience with mobile computer applications. If your situation is unique, we can even create a custom solution for your specific needs. Contact a Systems Consultant today to learn how Mobile Computing can benefit your business. From lightweight PDA-styles to rugged, industrial devices, Zebra Technologies and Honeywell mobile computers provide the reliability to withstand the rigors of the most demanding environments. Maximum power processors, extended battery life and memory to support the most demanding enterprise applications, including hours data capture and hot swap batteries. Remotely provision, update, troubleshoot and even disable devices and reduce the time, costs and man-ours associated with managing your mobile solution. Flexible and cost-effective service options keep your devices running and ensure maximum uptime.